he high school students descended upon Hermann Hall, some accompanied by parents, others arriving by the busload with their teachers. 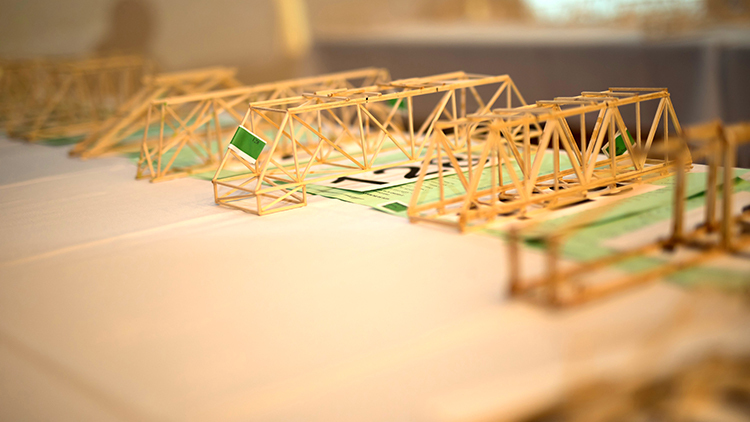 Wearing fleece hoodies, down jackets, or plaid uniform skirts, the young people formed a queue to check in their masterpieces—small-scale bridges of basswood that they each designed and built in the hope that their bridge’s strength would earn them a chance at a coveted first- or second-place slot in the 2018 Chicago Regional Bridge Building Contest, held on January 23 at Illinois Tech. In the late 1960s Morgan Park High School teacher Roy Coleman (PHYS ’64) suggested that his students “build a bridge” to better understand the concept of force dynamics. He showed some of his students’ bridges to Illinois Tech Professor Emeritus Earl Zwicker (M.S. PHYS ’52, Ph.D. ’59), who then initiated efforts for Illinois Tech to host the annual regional bridge building contest, now in its 43rd year. 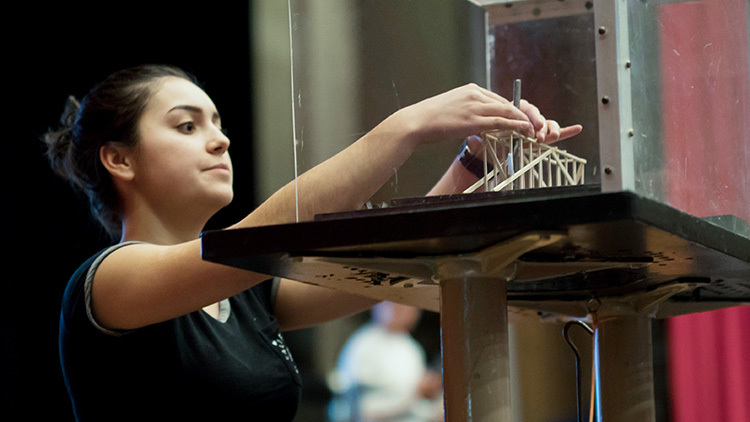 Chicago-area high schools hold their own bridge building contests in December or January, with top winners participating in the Illinois Tech event. Duchossois Leadership Professor Carlo Segre, who heads the International Bridge Building Committee, has been involved in the event since 1993. 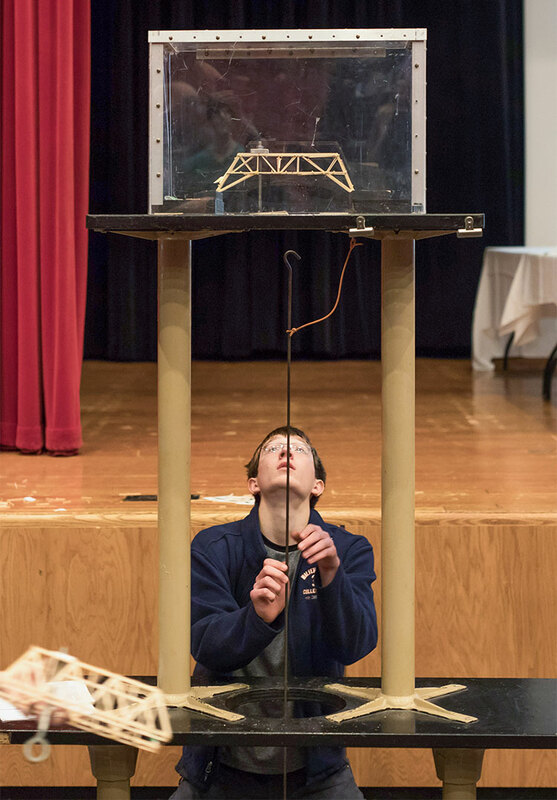 Tinley Park High School junior Todd Bajzek, who comes from a family of Illinois Tech alumni bridge winners [see Rewind on page 32 about his sister Sasha Bajzek (CE ’11)], won first place in the Chicago South Suburban Regional division. With a lightweight bridge mass of just over 27 pounds capable of supporting 110 pounds of weight, Bajzek’s creation had the highest efficiency rating of any contestant. Efficiency is measured as the ratio of bridge mass to how much weight the bridge can support before it breaks. 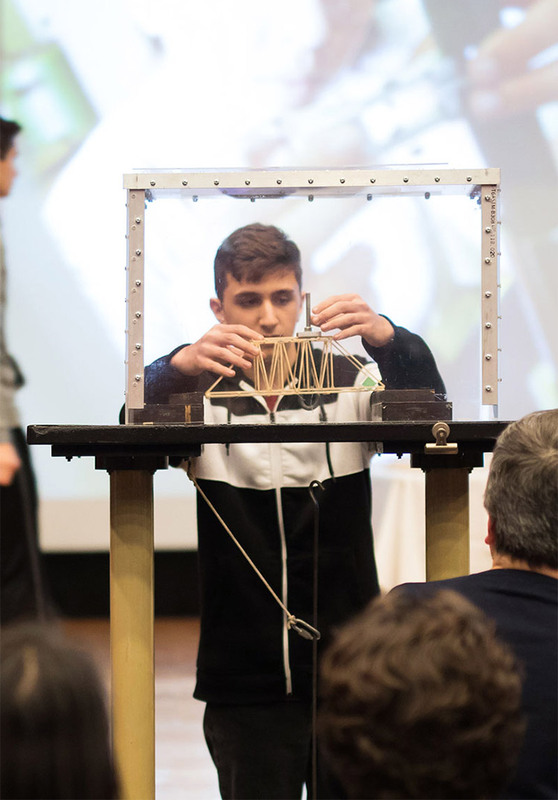 Bajzek and five other first- and second-place winners will go on to compete in the International Bridge Building Contest on Saturday, April 21. The winner of the international contest is given a half-tuition scholarship to the university, if selected for admission.